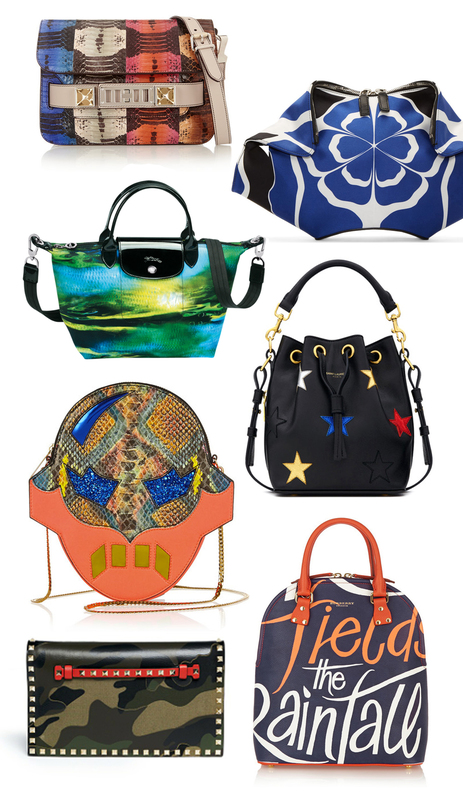 How does one choose a new season handbag when they are all so drool-worthy? It’s a seriously tough job! What I love most about this summer’s collections are all the prints that are popping up. Forget about buying yourself a plain purse and splash out on a funky pattern – this way while you’re still waiting for summer to come around you can zing up the monochromatic outfit with a perfectly colourful and printed accessory. Here are my favourites – plain seems to dull now right? Left to right, top to bottom: Proenza Schouler, Alexander Mcqueen, Longchamps, Saint Laurent Paris, Stella McCartney, Valentino, Burberry.